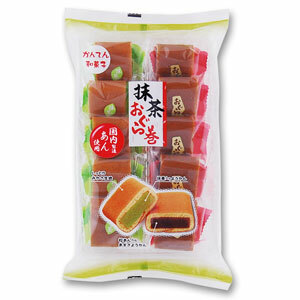 Yokan is a sweet Japanese candy made ​​from red beans and seaweed. Made into bite-size candy made ​​with wheat dough rolled up in a little jelly. Slightly resilient texture is a charm. Please enjoy the taste that go well with tea, green tea and red bean two.